The student and worker movements of the late sixties in France and Italy are often not well understood these days. More often than not, they are depicted in contemporary film and literature as the backdrop to a romance or coming-of-age story. This is the first English translation of the 1971 Italian novel Vogliamo Tutto (We Want Everything) and is a welcome, forceful attack on such misleading interpretations. 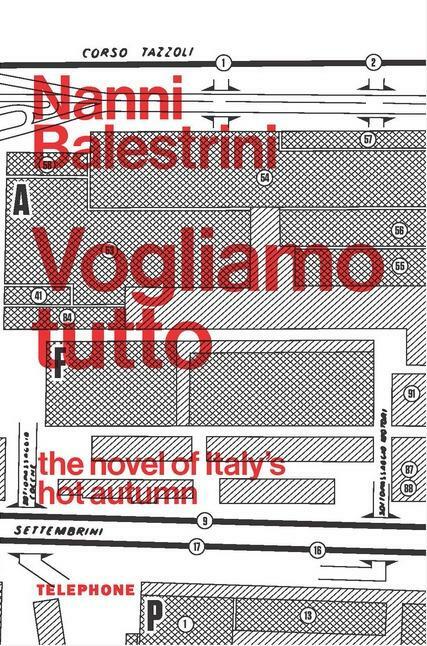 The author, Nanni Balestrini, was a participant in movements that came close to changing the world forever. At the time, Balestrini interviewed workers involved in the Fiat factory wildcat strikes and occupations in Turin, and later turned his notes into this spectacular call to arms. He universalises the experiences of brash Sicilian casual workers: as readers, we live and work alongside the nameless protagonist, cheering on his first fight with a factory foreman and experiencing together a dawning epiphany that the world could belong to ordinary people if we were willing to fight for it. The reader is swept along as more and more people demand the ‘everything’ of the title. In this new world, there is nothing for the bosses. The small publishers, Telephone Publishing based in Melbourne, have outdone themselves in the production of this work. The very design of the book demands that the reader think big: the dust jacket folds out to be a blueprint of the Fiat factory, ours for the taking! A preface by the author included with this volume warns against understanding these events as historical curiosities. With the ongoing crisis in Europe and the widening gap between rich and poor, he cautions, the fight that kicked off in Italy’s hot autumn is by no means concluded. As Paul Mason, author of Why It’s Kicking Off Everywhere, pointed out recently: young people today will grow up to be barristers or baristas but not much in between. In that context, Balestrini’s explosive novel–manifesto is now more relevant than ever.